As a faith leader, I am not as perplexed by such a challenge. In fact, it is a central part of my vocation to break down the walls we build around ourselves, listen to the stories of our neighbors, and explore our human connection. I am called to help others grow in compassion and empathy. As a deeply religious Christian, I follow the example of Jesus. The same Jesus whose followers called him teacher. The same Jesus who ate with the poor and visited the sick. The same Jesus who taught his followers to care for the vulnerable and who was clearly concerned with people’s physical health. The gospels record more than 30 individual acts of healing by Jesus. Those who told and wrote the gospel accounts believed physical and mental health were important for everyone, not just the wealthy and powerful. In one instance, Jesus healed his disciple Peter’s mother-in-law of a severe fever. Afterward, the entire town brought Jesus their physically and mentally ill friends and relatives to be healed as well. In another gospel account, a woman who had been bleeding for years and had exhausted all her money on physicians touched the hem of Jesus’ garment and was healed. Jesus responded to her with grace and love. All of these healing acts involved people considered unclean and without access to other forms of healthcare. Jesus’ entire ministry centered around the well-being of people who were deemed less worthy by society. 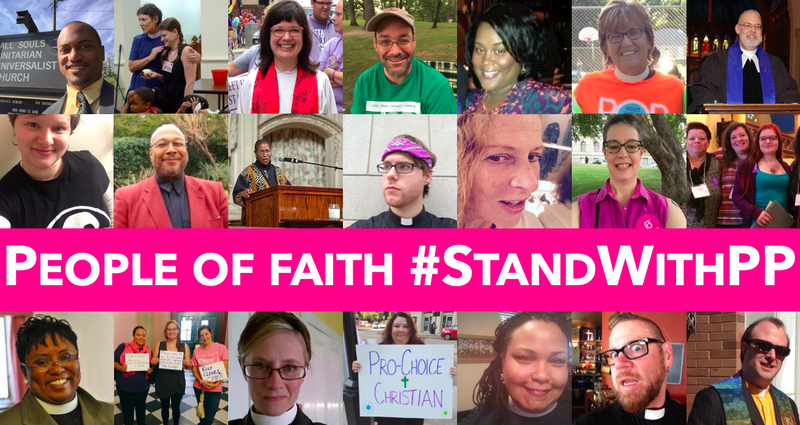 Contrast the teachings and actions of Jesus with the actions of lawmakers in 2017. Repealing the ACA and defunding Planned Parenthood would be catastrophic to millions of people, disproportionately affecting poor people, people of color, and LGBTQ people. One report estimates that 24 million people will lose healthcare coverage in the next 4 years if the ACA is repealed. Of those 24 million, 63.3 percent have incomes below $23,600. Another report estimates that over 43,000 people will die every year because of the repeal of the ACA. Poor people, people of color, and people in rural communities will be harmed even further by the defunding of Planned Parenthood, denying healthcare to 2.8 million people, 79 percent of whom have incomes below $17,700 per year. Without Planned Parenthood, these people will have nowhere else to go for care. Denying healthcare to people because they are poor and stripping healthcare from rural communities and communities of color repudiates the teachings and values of most religious traditions. It is certainly a repudiation of the life and teachings of Jesus. Jesus demonstrated compassion, healing, and care for the people cast aside in his culture: widows abandoned to beg on the streets, orphans without anyone to take care for them, people shunned because of disease or mental illness, tax collectors and prostitutes outcast because of their profession, and people outside of traditional gender roles. Jesus treated these people with dignity. He healed them and respected their agency. Ultimately, he was put to death for proclaiming the inherent worth and dignity of all people, irrespective of status, power, or privilege. If I want healthcare for myself, then I must work to ensure that all people, without exception, have healthcare. If, as a society, we believe that some people should receive healthcare, then we must provide healthcare for all people, regardless of income. Stripping access to healthcare from millions of people is both immoral and hypocritical. Lawmakers won’t lose their healthcare if the ACA is repealed and Planned Parenthood is defunded, but millions of Americans will. This is not doing to others as you would have them do to you. My faith teaches me that it is unjust and sinful to deny basic healthcare to people who cannot afford it. 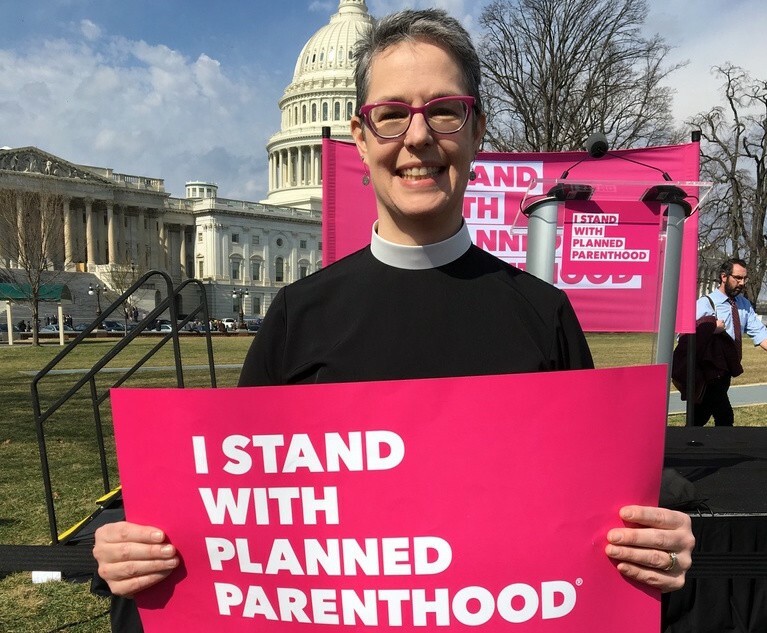 That’s why, as a pastor and a person of moral conscience, I stand firmly with Planned Parenthood and oppose repealing the ACA. My Christian values, my belief in the common good, and my commitment to justice require nothing less.